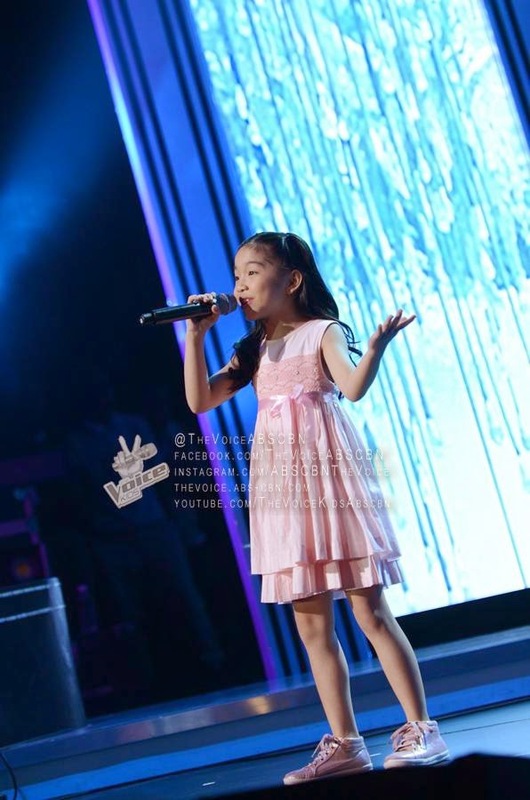 Manila, Philippines - Team Lea's young artist Darlene Vibares sang Sharon Cuneta's song "Sana'y Wala ng Wakas" on the grand finals Power Ballad round of ABS-CBN's top-rating and Twitter-trending singing competition 'The Voice Kids' Philippines on Saturday, July 26, 2014 at the Resorts World Manila, Newport City, Pasay City. There are 3 rounds in the competition: Power Ballad, Upbeat Song and Special Performance with Celebrity Guest. The artists who will get the highest percentage of votes from the public will be the first-ever 'The Voice Kids' grand winner. The finale episode on Saturday tops online conversations with '#TheVoiceKidsFinale' among the trending topics.